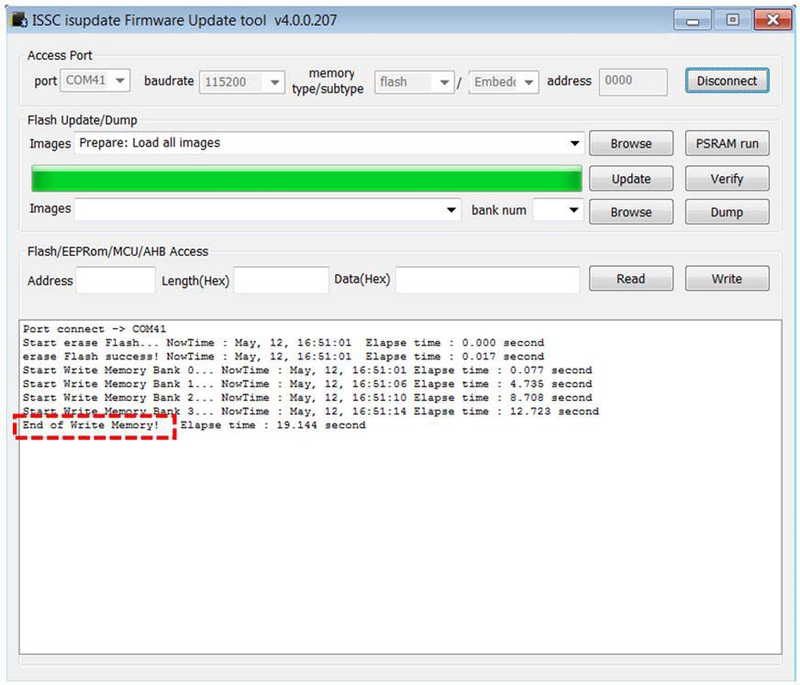 Firmware for the BM70 can be updated using a PC Tool isupdate.exe over the USB port. 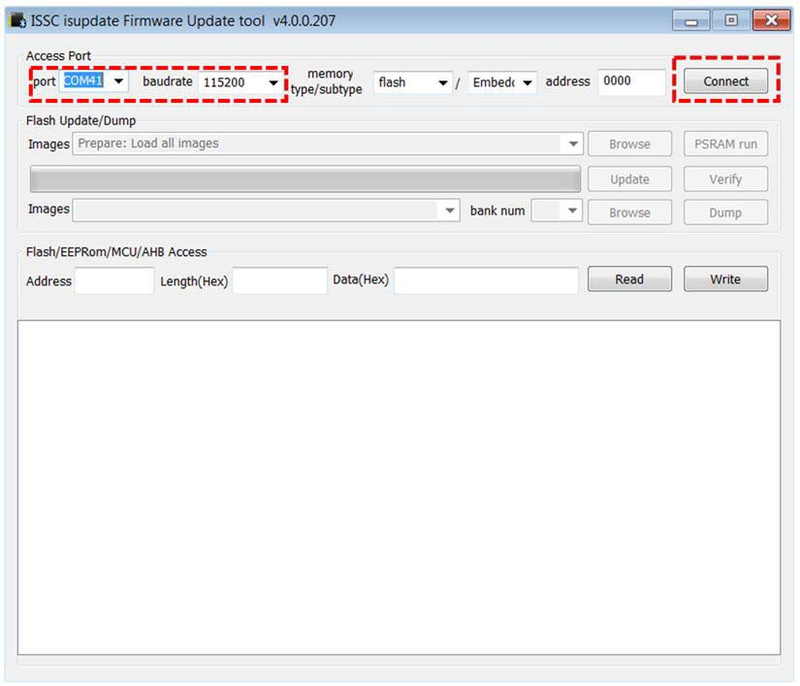 The latest BM70 firmware images and the isupdate.exe tool are available from the product web page at www.microchip.com/BM70. While uploading the firmware on the BM-70-CDB, the J6 jumper pins 2 and 3 should be closed and jumper J8 (current measurement test point) should be closed. The jumpers J6 and J8 should not be disturbed during firmware update, otherwise the firmware will be corrupted. 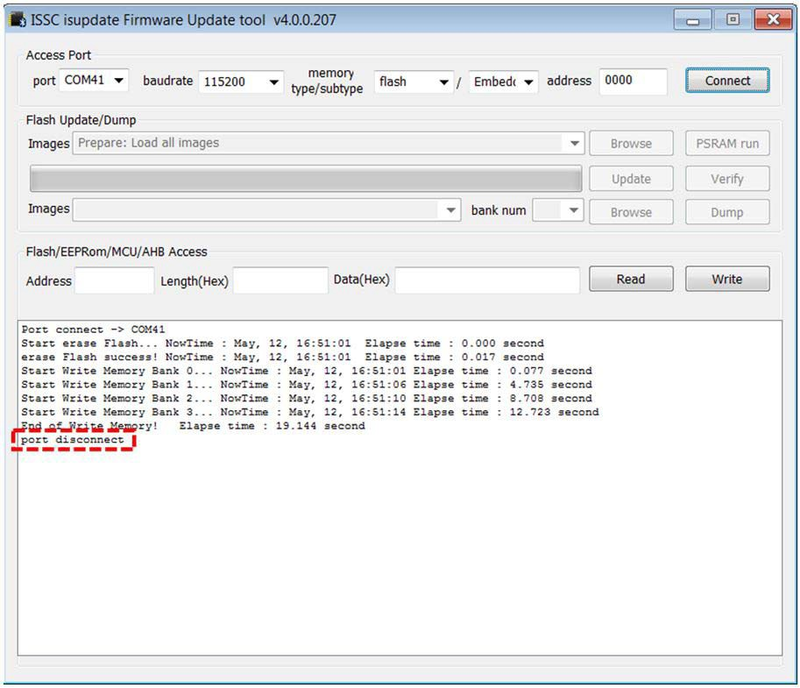 Verify that other settings (baud rate, memory type, and address) are set as shown in Figure B-1. Click the Connect button as shown in Figure B-1. Verify that "Port connect -> COMxx" is displayed in the text box, as shown in Figure B-2. 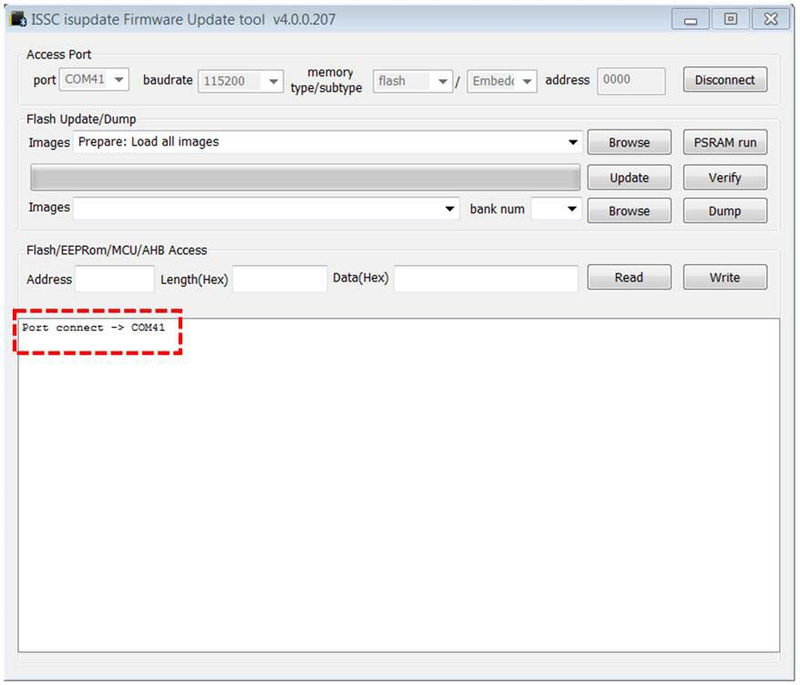 Click the Browse button to select the firmware files that needs to be flashed on BM70 module. Verify firmware update is successfully completed. The "End of Write Memory" message is displayed as shown in Figure B-3. Click the Disconnect button to close the COM port. The "port disconnect" message is displayed as indicated in Figure B-4. Press SW1 to reboot the module.